Proceeds will go to The Salvation Army of Greater Houston's programs that enrich the lives of the people of Houston through the four shelters, two senior housing complexes, six corps community centers, two social services offices and college preparation program. Do you want to run with your whole family and all of your friends? Create a team of 5 or more people and enjoy extra savings while having a great time! $5 off per person who joins the team. You can also fundraise as a team. *Team registration will close at midnight on Sunday, 7/2/2017, please make sure to have all of your team members registered by this date. Want to be part of the cause? You can now fundraise as an individual or as a team. Setup your fundraising page and share it with everyone you know. Let's continue the celebrate the season by "Doing Good" all year round! *Race Day Packet Pick-up will only be available for those who register after 6 pm on Thursday, 7/6/2017. 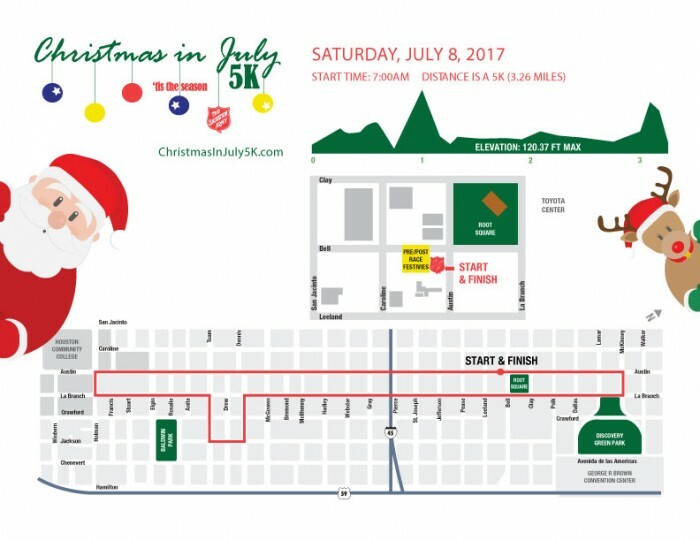 The Christmas in July 5K will Start/ Finish in downtown Houston at The Salvation Army Greater Houston Area at 1500 Austin Street, Houston, TX 77002, located across from Root Memorial Park. 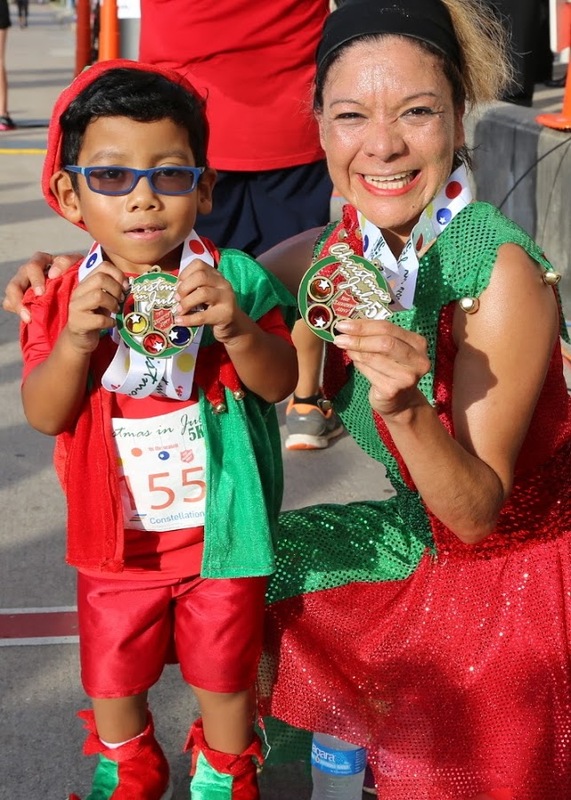 For those participants who are not interested in running the timed 5K, there is a Family 5K option or the Fa La La La KidsK option available for children (13 & under). All race results will be live and posted at on our website. The Fa La La La KidsK is a event just for the litte ones in your life! Join us in supporting our children in a positive, exciting and fun experience just for them! The KidsK is for all children, 13 and under. A special course just for them... for them to run, skip, hop, jump, walk or roll!